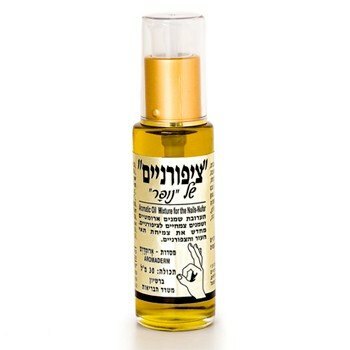 A mixture of aromatic oils for fungal infection in nails! The product contains jojoba oil which penetrates the base of the nail inserting aromatic oils with active anti-fungal properties. Polygonum multiflorum extract – An anti-inflammatory, antibiotic and antiseptic. The plant mixture strengthens nails and encourages the growth of new healthy nails. Ingredients: Grape seed oil, Sunflower seed oil, Jojoba oil, Olive oil, Yarrow extract, Polygonum multiflorum extract, Stevia extract, Calendula Officinalis oil, Sesame oil, Wheat germ oil, Lavender oil, Geranium maculatum oil, Avocado oil, Bergamot oil, Hippophae rhamnoides oil, Lemon oil, Tocopherol, Tea tree oil, Parfum. DIRECTIONS: Apply to the top and underside of nails 2-3 times a day. File nails before first use.